Discover the natural beauty of Iron Mountain- Michigan and all it has to offer- whether staying for business- pleasure- or passing just through. Ideally situated only a few miles from the Pine Mountain Ski Resort and downtown Iron Mountain- which was named a Michigan Main Street community. Our hotel is conveniently located off US Highway 2 on South Stephenson Avenue. We are near local attractions such as Millie Hill Bat Cave- Cornish Pump Mining Museum and Bay College West. Our property offers an array of amenities including a guest laundry facility- newsstand in the lobby- picnic area with tables- and is 100 percent smoke free. Pets are welcome- restrictions and charges apply. Start your work or sightseeing day in fine form with a free cup of coffee or continental breakfast. Stay connected with our free WiFi available throughout the property. Visitors in town for business will be sure to take advantage of our business center- which offers a free computer and business services to keep you and your trip running smooth while on the road. Each of our 50 rooms features such amenities as free WiFi- microwave- minifridge- hairdryer- 32 inch flat panel cable TV- HBO- ESPN- and desk with lamp. 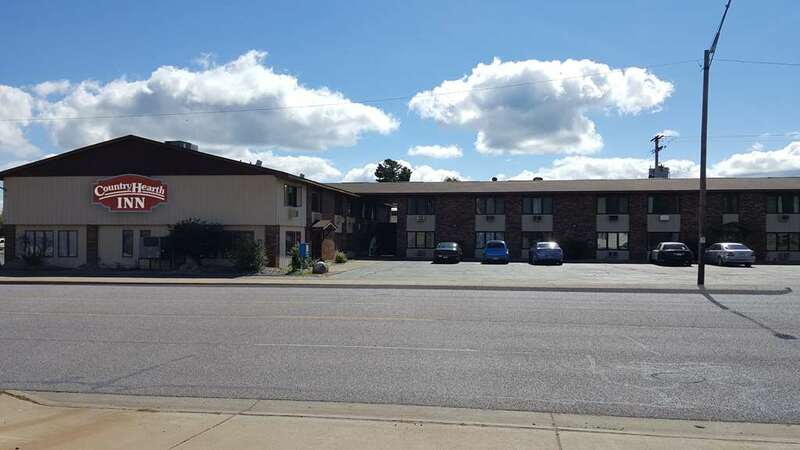 Country Hearth Inn Iron Mountain is your best choice within the Michigan Upper Peninsula. We offer ideal accommodations and location whether you are in town for skiing- fishing- sightseeing- or business. At Country Hearth Inn Iron Mountain our goal is to provide our guests a great experience- not just a place to stay. At Country Hearth Inn Iron Mountain- Expect More. Get More. Peking Chinese Restaurant: 0.1 mi. The Holiday Kitchen: 0.2 mi. 151 Thai Bistro: 0.9 mi. Spiros Downtown Restaurant: 1 mi. Bs Country Cafe: 0.9 mi. Country Hearth Inn Iron Mountain is located off US Highway 2 on South Stephenson Avenue. We are near several local attractions such as Millie Hill Bat Cave- Cornish Pump Mining Museum and Pine Mountain Ski Resort.